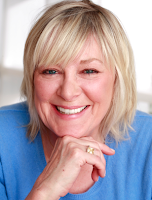 Check out this blog by Gwyn Gilliss in Back Stage on how to be an "acting warrior" by clicking here. 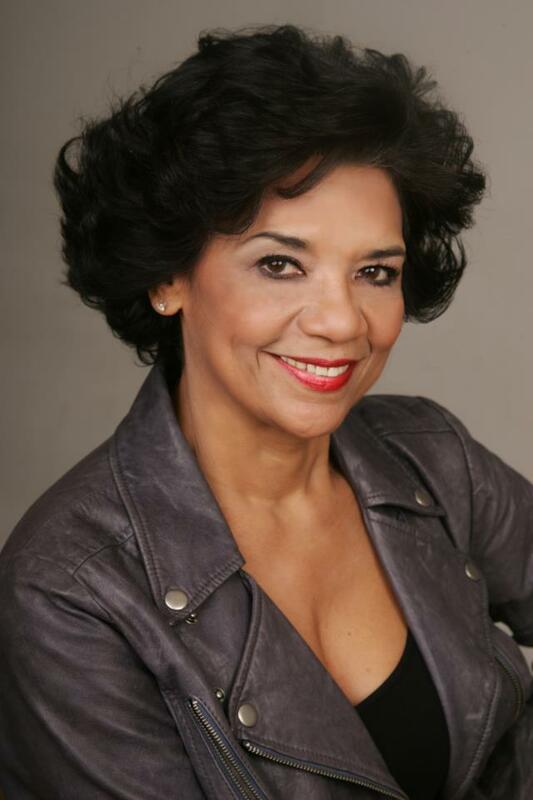 Sonia Manzano, pictured at left, received a Pura Belpré Award for her debut novel The Revolution of Evelyn Serrano (Scholastic Press). Named after the first Latina librarian at the New York Public Library, the award, established in 1996, is presented annually to a Latino or Latina writer and illustrator whose work best portrays, affirms, and celebrates the Latino cultural experience in an outstanding work of literature for children and youth. For more information, click here. Susana Pérez will be starring in the short film Tiny Actions (written and directed by Lexie Grace), to be shot next month in New York City. Omar Pérez is directing the play 28 Years Later (written by Uma Incrocci, Nicole Greevy and Erica Jensen). The play stars Jesús E. Martínez (see below), Rocío López, Kat Chua, Dustin Fontaine, Natasha Yannacañedo, Keith Johnston, Iris Taylor and Lina Sarrello and will be presented in January at Space on White, located in Manhattan's Tribeca neighborhood. Jesús E. Martínez (see above) is acting in the workshop presentation of Neon Baby. Conceived and directed by Jorge B. Merced (and inspired by a book by Arnaldo Cruz-Malavé), it is written by Ricardo Pérez-González with original music by Desmar Guevara and choreography by Richard Rivera. The production stars Sean Carvajal, Anthony Cotto, Sol Crespo and Ashton Pina. The workshop will take place in February (with a world premiere to follow in May) at Pregones' eponymous theater in the Mott Haven section of the South Bronx. For more information, click here. Mike Smith Rivera is one of the actors in Et Tu, Brunché? A series of five short plays performed in addition to a brunch being served (note the pun in the title), it is being presented in February by EST/Youngblood and take place in the Ensemble Studio Theatre located in Manhattan's Hell's Kitchen neighborhood. For more information, click here. 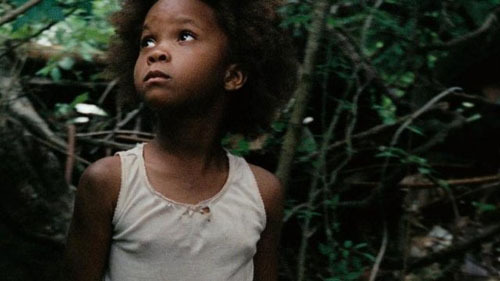 Check out this article by Pamela McClintock of The Hollywood Reporter where the film Mama (produced by Guillermo Del Toro) have outperformed expectations and why Latinos are a principal reason for its success by clicking here. Marlene Forté: Film or TV, She is Working It! Check out this blog by Bel Hernández of Latin Heat as it profiles HOLA member Marlene Forté, shown at left (HOLA gets a mention in the blog as well), by clicking here. 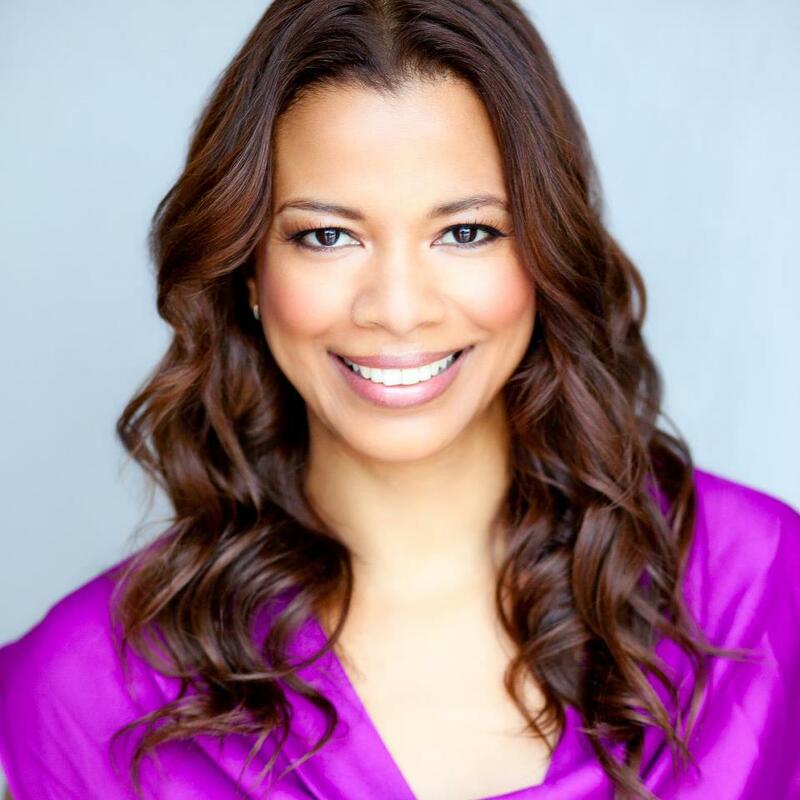 Marlene Forté can be seen in the TNT reboot of the series "Dallas", in a recurring role of "The Secret Life of the American Teenager" (ABC Family), in the Marlon Wayans-helmed film A Haunted House (currently, as of this writing, in theaters) and in the upcoming Tyler Perry film Single Moms Club. Éric-Dominique Pérez, shown at left, and Iván Camilo, shown at right, nabbed roles in an industrial for Yale University after the casting director saw their headshots and resumes on their respective profiles in the HOLA online directory and contacted them. 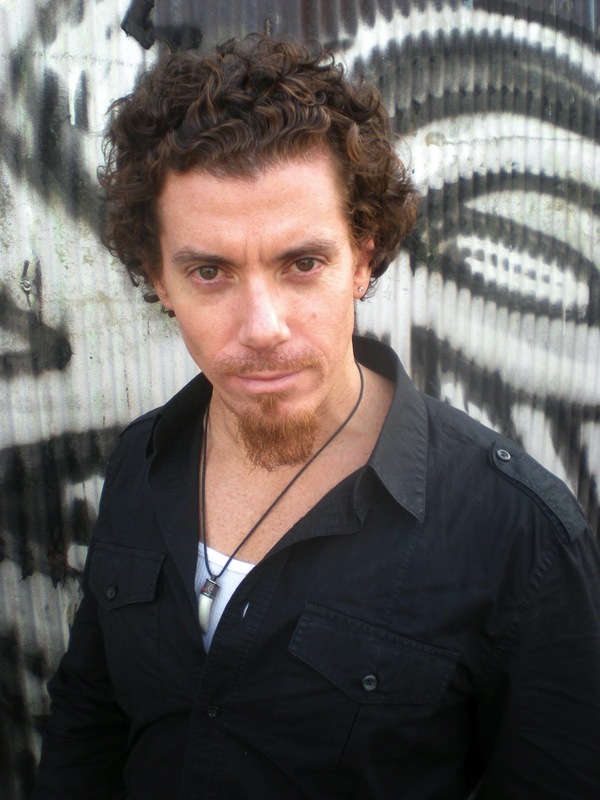 In addition, Pérez will present his self-penned solo show El Gringuito on Saturday, March 9, 2013 at HERE Arts Center (located in Manhattan's SoHo neighborhood) as part of the Downtown Urban Theater Festival. The show will be directed by A.B. Lugo and assistant directed by Billy Martín Mejía. For more information, click here, here or here. For his part, Camilo finished filming a lead role in the film Ornament of Faith (directed by Yuichi Hibi). For more information, click here. Jean-Marc Berne booked a voiceover for McDonald's. Judy Torres will be one of the headliners of the Freestyle Fever 7 concert. Produced by famed producer Sal Abbatiello and Fever Records, other performers on the bill include TKA, George Lamond, Cover Girls, Brenda K. Starr, Shannon, Sweet Sensation, Giggles and others and will take place on Saturday, March 3, 2013 at the Lehman Center for the Performing Arts. For more information, click here. Antonio Miñino will be featured in several workshop readings at the 2013 National NewBorn Fetsival. Produced by MTWorks, this year's offerings include work by Ann Magaha, Randy Baker and Stallings and will take place in January and February at The City College of New York-North Academic Center in Manhattan's Hamilton Heights/Harlem neighborhood. For more information, click here or here. Theatre 167 is presenting The Jackson Heights Trilogy. The trilogy of three plays (167 Tongues, You Are Now the Owner of this Suitcase and Jackson Heights 3AM), written by 18 playwrights with a cast of 37 actors in 93 roles (including Cynthia Bastidas, Marcelino Feliciano and Fulvia Vergel) are conceived and directed by Ari Laura Kreith. The productions will run in repertory in February and March in the 777 Theatre in the theater district of midtown Manhattan . For more information, click here or here. of the U.S. Capitol on January 21, 2013 in Washington, D.C.
"Maybe we as a country are turning a corner and realizing that we should be celebrating the fact that the United States has over 35 million Spanish speakers, with predictions that we will be the world’s biggest Spanish-speaking nation by 2050." 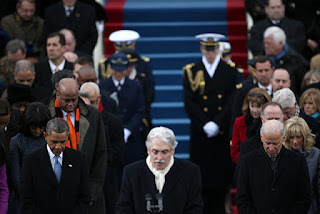 Check out this editorial piece by Julio Ricardo Varela of NBC Latino about the inclusion of Spanish in U.S. President Barack H. Obama's second inauguration and its worldwide "reaction" by clicking here. 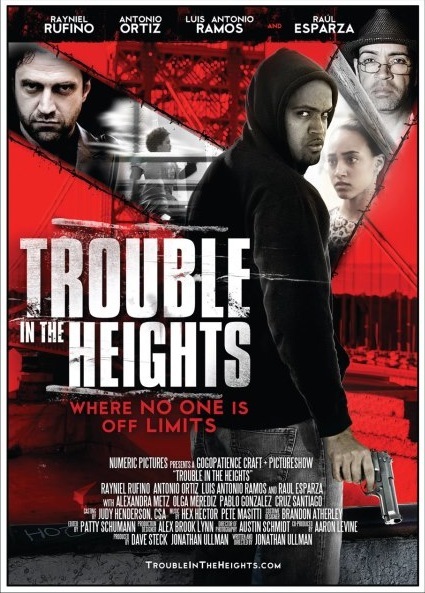 Luis Antonio Ramos, Olga Merediz and Raúl Esparza star in Trouble in The Heights (written and directed by Jonathan Ullman), which will have a screening on Thursday, January 24, 2013 at the United Palace of Cultural Arts (UPCA), located in Manhattan's Washington Heights. To RSVP for the screening (movie poster shown at left), send an e-mail to this e-mail address. For more information about the movie, click here. 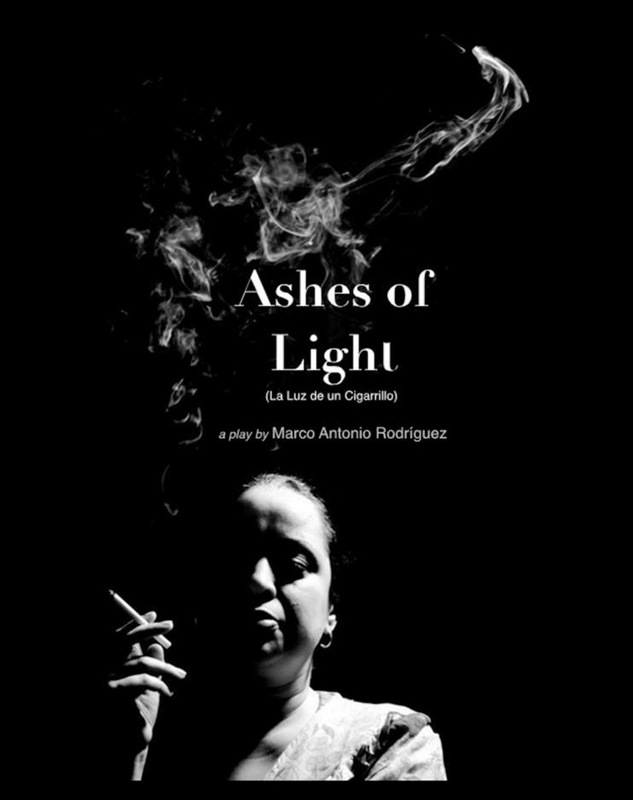 Marco Antonio Rodríguez let us know that the play that he wrote, the hit HOLA award-winning play La Luz de un cigarrillo has been published in an English version. 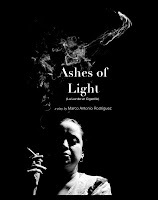 Titled Ashes of Light, it will be published by NOPE Press and features award-winning actress Susanna Guzmán (who originated the role of Luz in the production) on the cover (which was designed by Ismael Cruz Córdova and is shown at right). To buy the book, click here. Fernando Gamarra is starring in the film Lloró (written and directed by Ramazan Nanayev). The film will have a screening at Katra Lounge in Manhattan's SoHo neighborhood on Saturday, February 2, 2013. 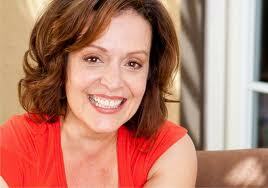 Susana Pérez is flying to Florida this week to shoot a commercial for Publix. The Latin ACE Awards, presented by the Asociación de Cronistas de Espéctaculos de Nueva York announced their 2013 winners for their ceremony, scheduled to take place in April. Among them are HOLA members Basílica Bliachas, Carmen Cabrera, Edison Carrera, Miriam Colón-Valle, Ernesto De Villa Bejjani, Loren Escandón, Ángel Gil Orrios, Ana Grosse, Gerardo Gudiño, Billy Martín Mejía, Manuel A. Morán, Eduardo Ramos, Alfonso Rey, Adriana Sananes, Juan Villarreal and Claudio Marcel Weisz. 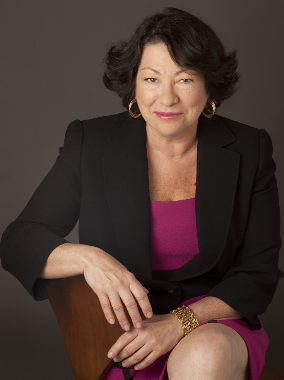 María Hinojosa, shown at left, interviewed U.S. Supreme Court Associate Justice Sonia Sotomayor, shown at right, for El Museo del Barrio's Conversations series, where the justice discussed her newly released memoir My Beloved World (Knopf Doubleday). The event took place on Saturday, January 19, 2013 at El Museo's El Teatro in Manhattan's El Barrio neighborhood. For more information, click here. Caridad de la Luz (also known by her nom de poésie et de musique La Bruja) performed on Wednesday, January 16, 2013 at the Union's Courtyard Café of the University of Illinois at Urbana-Champaign. Johanna Carden booked an episode of "Do No Harm" (NBC). Jack Landrón will be performing his music and having a CD release party at Club Passim in Cambridge, Massachusetts on Friday, February 1, 2013. The following night Saturday, February 2, 2013, he will perform on Saturday, February 2, 2013 at Caffè Lena in Saratoga Springs, New York. For those who can't make those dates in person, one may watch a live webcast by clicking here. CBS is betting big on Greg García, ordering two comedy pilots from the "Raising Hope" showrunner. For García, the two comedies come eight months after the former "My Name Is Earl" Emmy Award winner jumped ship from 20th Television and inked a rich four-year overall deal with CBS Television Studios. To read about his signing with CBS, check out Lesley Goldberg's article in The Hollywood Reporter by clicking here. García's first project, "Super Clyde", revolves around a meek, unassuming fast-food worker who decides to become a super hero. García will write and executive produce. The second comedy, being dubbed the "unauthorized Greg García project," revolves around a recently divorced man whose life is complicated when his parents decide to move in with him. García will write and executive produce the multi-camera effort. 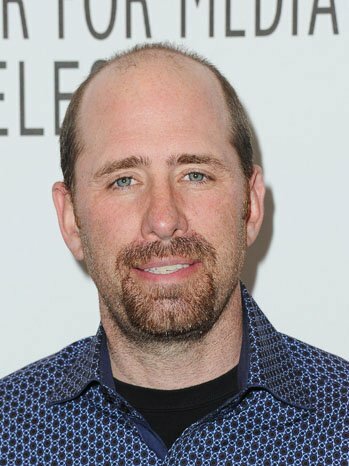 In announcing García's overall deal in May, CBS Television Studios president David Stapf sang his praise and called him one of the "elite comedy showrunners." "He is a rare creative talent who has created successful shows in both the multi- and single-camera form across a variety of networks. It's exciting to add a star producer of his caliber to our roster." García's comedy "Raising Hope" is in its third season on Fox. His credits include "Yes, Dear" and "Family Guy". 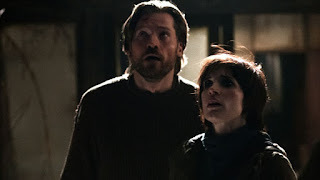 He's repped by CAA and Ziffren Brittenham. To read more about the new pilots ordered by CBS, check out Lacey Rose and Lesley Goldberg's article in The Hollywood Reporter by clicking here. The Latin Trendsetter Awards were presented in November 2012. Produced by Latin Trends magazine and Laboratorio Buena Salud, two of the honorees included J.W. Cortés and David Zayas (shown at left and at right). To see a video recap, click on the video below. 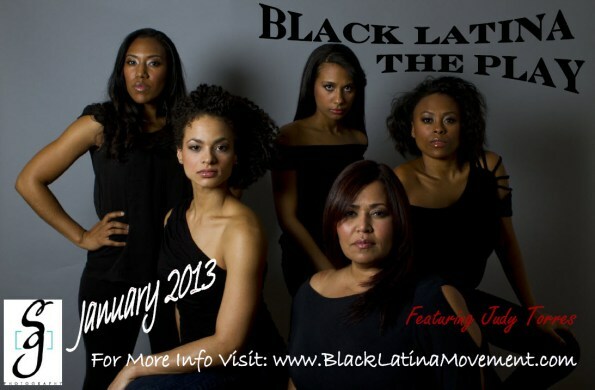 The December 2012 issue of Latin Trends magazine had a feature article on Crystal Shaniece's play Black Latina (flyer image shown at right). Directed by Verónica Caicedo and featuring Judy Torres and Anaridia Burgos in the cast, the show will have a January run in Teatro LATEA, located in the Clemente Soto Vélez Cultural and Educational Center (home to HOLA) in Manhattan's Loísaida neighborhood. For more information, click here, here or here. The poetry anthology Me No Habla With Acento: Contemporary Latino Poetry (edited by Emanuel Xavier and published by Rebel Satori Press/El Museo del Barrio) will be used as a text for a course at the University of New Mexico, located in Albuquerque. Two of the anthology's contributing poets are Caridad de la Luz (La Bruja) and A.B. Lugo (shown at left and at right). For more information on the anthology which features the work of 25 poets, click here. Milteri Tucker is one of the performers in the Thalía Spanish Theatre production of afroTANGO. Produced, designed and directed by Ángel Gil Orrios (with musical direction from bandoneón master and Latin Grammy winner Raúl Jaurena), the production will run from January through March at Thalía's eponymous theater located in the Sunnyside area of Queens. For more information, click here. Mike Smith Rivera (sometimes known as Mister Clown) and Kelly Anne Burns (sometimes known as Missus Clown) will be hosting an evening of vaudeville called The Night Circus. It will take place on Saturday, January 26, 2013 at the WorkShop Theater, located in the theater district of midtown Manhattan. For more information, click here. Priscilla López will star in the regional premiere of the play Somewhere written by Matthew López (no relation). The play will be produced by TheatreWorks and directed by Giovanna Sardelli and run in January and February at the Mountain View Center for the Performing Arts, located in Mountain View, California. For more information, click here and here. Around the Block/Al Doblar La Esquina, in association with the New York Public Library, is presenting The City Comeback, a collection of short plays written by William Beasley, John Cappelletti, Nina Howe, Allan Yashin and Paula Wolff; and directed by Beasley, Camille Monte, Susanne Traub and Gloria Zelaya. The production will take place in January at the New York Public Library's Grand Central Branch in the Murray Hill of Manhattan and will feature Mahammatt Baba, Marlene McCoy, Ydaiber Orozco, Nikaury Rodríguez, Rodney Roldán and María Teresa Silva in the cast. Lucio Fernández is serving as master of ceremonies for Voices of Angels, a concert in loving memory of those who perished in the school shooting in Newtown, Connecticut. The concert will feature the Union City Philharmonic Orchestra, Jahye Kim & Yedeun Park, directors; the Union City Opera Company, John Jay Hebert, director; members of the TapOlé Dance Company, Megan Fernández, director; the Poet Laureate of Union City, Mr. Ben "BrokenEnglish" Figueroa; and other special guests. There will also be an art exhibit by the Union City Artist Collective curated by Amado Mora. The event will take place on Saturday, January 26, 2013 at the Union City Performing Arts Center in (natch) Union City, New Jersey. Loren Escandón, shown at right, besides being an actor, dancer and writer, has added a new job, that of journalist. She now writes a column for Viva Colorado. For more information, click here. Izzy Ruiz booked a role in an episode of "Nurse Jackie" (Showtime). The Lin-Manuel Miranda-Quiara Alegría Hudes musical In The Heights is returning to New York for a one-night-only benefit. It will be performed in concert version in the upper Manhattan neighborhood where the production takes place-- Washington Heights. Simply titled In The Heights: In Concert, it will take place at The United Palace of Cultural Arts on Monday, February 11, 2013 and was presented by The Broadway League's Viva Broadway initiative. The concert will feature many of the cast members of the original Broadway and first national tours, including Miranda, Karen Olivo, Olga Merediz, Robin De Jesús, Janet Dacal, Eliseo Román, Doreen Montalvo, Mandy González, Chris Jackson, Tony Chiroldes, Blanca Camacho, Rogelio Douglas and Luis Salgado, among others. Tickets are on sale through Telecharge. A surplus of proceeds from ticket sales will go towards The Broadway League's Family First Nights, a nationwide program specifically designed to encourage at risk families to attend theater on a regular basis and to local arts programs in Washington Heights. For more information, click here. Josean Ortiz and Amneris Morales will star in La última plena que bailó Luberza. Based on the short story by Manuel Ramos Otero, and adapted and directed by Ortiz, the production deals with the life of Isabel La Negra, a madam of a brothel in Puerto Rico and will have a January run at the Corralón de San José in Viejo San Juan, Puerto Rico. Edwin Pagán, shown at right, is one of six photographers whose work will be shown in the Seis del Sur photo exhibition. 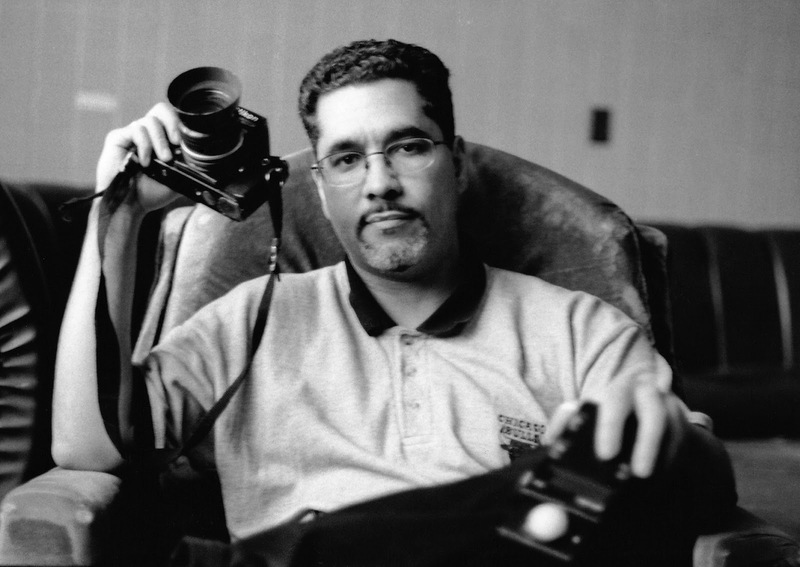 The other photographers are Joe Conzo, Jr.; Ricky Flores; Ángel Franco; David González; and Francisco Molina Reyes II and show the South Bronx in the late 1970s and early 1980s. The exhibition will happen from January 19-March 8, 2013 at the Bronx Documentary Center, located in The Hub of the South Bronx. For more information, check out this article in the New York Daily News about the exhibition by clicking here. Robin De Jesús will be a special guest performer at Exposed: Blake Pfeil in Concert. The cabaret will take place on Sunday, January 27, 2013 at the Time Out Lounge, located within New World Stages in Manhattan's Hell's Kitchen/Clinton neighborhood. Éric-Dominique Pérez will present his self-penned solo show El Gringuito at the Downtown Urban Theater Festival. Directed by A.B. Lugo, the performance will take place on Saturday, March 9, 2013 at the HERE Theater, located in Manhattan's SoHo neighborhood. For more information, click here. Carlos A. González will host a comedy show at Ibiza Lounge (located in the Riverdale area of the Bronx) on January 24, 2013. Claudio Marcel Weisz will be singing with the Raf Astor Band in the Havana Central restaurant in Yonkers, New York. José Roldán, Jr. will act in The Riant Theater production of The Plastic Couch. Written by Alyssa Burgos and directed by Laurence C. Schwartz, the play is part of the Strawberry One-Act Festival and will have a February and March run in the Hudson Guild Theater, located in Manhattan's Chelsea neighborhood. For more information, click here. 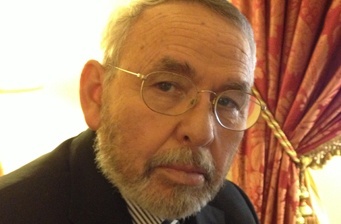 Did you know that Tony Mendez (the character Ben Affleck plays in Argo) had a Latino partner by the code name of Julio? That's because he wasn't mentioned in the film. "For the Argo mission, Mendez took on the alias of “Kevin Costa Harkins,” and formulated a back story for his alias that explain his looks: “Costa Harkins” is a “black Irish” person with Mediterranean heritage. He completed the disguise by assuming an Irish accent and dressing in tweedy clothes. So yes, both Affleck and Mendez could pass themselves off as a dark-featured Irish person– but Affleck would likely be less successful in other places Mendez has worked such as in India and Latin America. "Then, there’s 'Julio'— a character no one is mentioning because he was erased from the film all together. "While the film makes it look like Affleck exfiltrated the diplomats on his own, in real life, Mendez had a partner, who he describes using the alias 'Julio.' Together, Mendez and Julio worked together as part of a team to extract the diplomats. Julio was a translator fluent in English, German, French, Spanish, and Farsi. Like Mendez, he was the kind of person who could blend in unobtrusively. While Mendez used an Irish alias, Julio used a South American alias, pretending to be a financial backer of Mendez’s fictional movie. 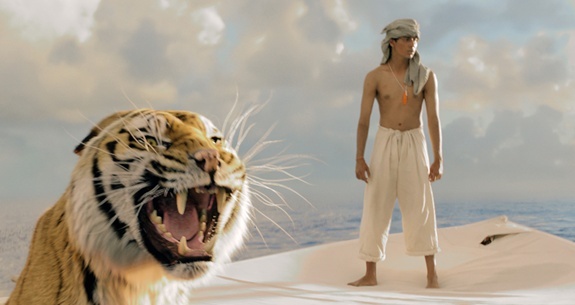 "There had to have been room for a Latino actor in a significant role in this film, somewhere. Even if Affleck wanted to play Mendez, he could have thrown in 'Julio.'" READ more of Marissa Lee's well-researched blog in the Racebending blog by clicking HERE. Also mentioned are quotes from the blogs below. Click on the writer's name to read the respective blog from whence it came (all boldface above and below added by this blog's editor). And in a fascinating bit of trivia, Ben Affleck spent a year living in Mexico while he was a teenager and still speaks Spanish (with a Mexican accent). ...that there are Latina royals in Europe (and I am not talking about Spain)? Meet Princess Ángela of Liechtenstein, Grand Duchess María Teresa of Luxembourg and Princess Máxima of the Netherlands. 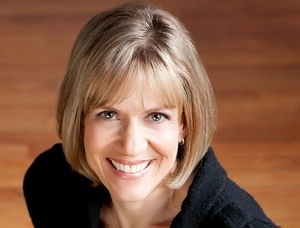 Her Serene Highness Princess Ángela of Liechtenstein, Countess of Rietberg was born Ángela Gisela Brown Burke al estilo latino in Bocas del Toro, Bocas del Toro, Panamá in 1958. She emigrated as a child with her family to the United States. She studied fashion at Parsons/The New School for Design where she was awarded the Oscar de la Renta Gold Thimble Award. After working for a fashion designer in New York and starting her own label (A. Brown) she sold her practice after three years. She then worked for Adrienne Vittadini, a U.S. fashion designer, where she was a fashion director until September 1999. She met HSH Prince Maximilian Nickolaus Maria of Liechtenstein, Count of Reitberg (often professionally called Prince Max for short), the second son of HSH Hans Adam II, Prince of Liechtenstein, in New York, where he had a position as a banker for Chase Capital Partners, the private equity arm of Chase, in the late 1990s, and a few years later, in 2000, they were married in New York (she wore a bridal gown of her own design). The following year, their son, HSH Prince Alfons Constantin Maria, was born. Her Royal Highness Grand Duchess María Teresa of Luxembourg was born María Teresa Mestre y Batista-Falla al estilo latino in Marianao, Havana, Cuba in 1956. In October 1959, at the time of the Cuban Revolution, her family (who were affluent) left Cuba and settled in New York City, where, as a young girl, she was a pupil at Marymount School. From 1961 she carried on her studies at the Lycée Français de New York. She met her future husband HRH Grand Duke Henri Albert Gabriel Félix Marie Guillaume, in Geneva, Geneva Switzerland, where she was studying political science at the University of Geneva. 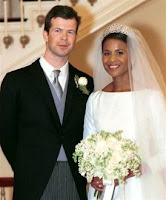 She married then-Prince Henri of Luxembourg in 1981. They have five children (HRH Prince Guillaume Jean Joseph Marie, Hereditary Grand Duke of Luxembourg; HRH Prince Félix Léopold Marie Guillaume; HRH Prince Louis Xavier Marie Guillaume; HRH Princess Alexandra Joséphine Teresa Charlotte Marie Wilhemine; and HRH Prince Sébastien Henri Marie Guillaume) and two grandchildren through Prince Louis (HRH Prince Gabriel Michael Louis Ronny of Nassau and HRH Prince Noah Guillaume of Nassau). She is President of the Luxembourg Red Cross and was appointed a UNICEF Eminent Advocate for Children. Argentine and Dutch. They were married in 2002 in a civil ceremony in the Beurs van Berlage, Amsterdam, which was then followed by a religious ceremony at Amsterdam's Nieuwe Kerk ("New Church"). 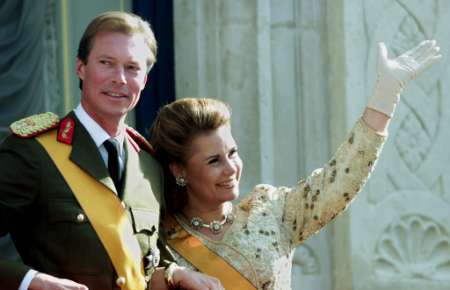 The couple have three daughters: HRH Princess Catharina-Amalia Beatrix Carmen Victoria, HRH Princess Alexia Juliana Marcela Laurentien and HRH Princess Ariane Wilhemina Máxima Inés. In January 2013, it was announced that reigning Queen Beatrix would abdicate on April 30, 2013 (Queen's Day in the Netherlands) in favor of her son Willem-Alexander, Prince of Orange. Princess Máxima will then become queen of the Netherlands, the kingdom's first queen consort since Emma of Waldeck and Pyrmont. • Wanna see other editions of " Betcha Didn't Know...?" Click here. Some of the most notable names from the dawn of film, television and music are of Latino descent. Here are some of them. In this edition, Latinos who are also of Asian descent. Franklin Ramón Chang Díaz (1950- ) was born in San José, San José, Costa Rica to a Chinese-Costa Rican father and a Costa Rican mother. He is a mechanical engineer, physicist and former NASA astronaut. He is a veteran of seven Space Shuttle missions, making him the record holder as of 2008 for the most spaceflights (a record he shares with Jerry L. Ross). He is currently president and CEO of Ad Astra Rocket Company. He was the third Latin American (after Cuba's Arnaldo Tamayo Méndez and Mexico's Rodolfo Neri Vela), the second astronaut of Asian descent (after Vietnam's Phạm Tuân, not including Russian cosmonauts) to go into space. He is also the first naturalized U.S. citizen to become an astronaut and was inducted into the NASA Astronaut Hall of Fame. He emigrated to the U.S. while still a teenager, graduating high school in Hartford, Connecticut. He then earned with a B.S. degree at the University of Connecticut and a Ph.D. from the Massachusetts Institute of Technology. 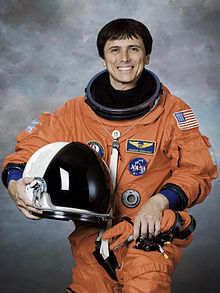 was selected as an astronaut candidate by NASA in 1980 and first flew aboard his first Space Shuttle mission in 1986. His last mission was in 2002, where he executed three spacewalks. He retired from NASA in 2005. In addition, he is currently (as of this writing) an Adjunct Professor in Physics and Astronomy at Rice University in Houston, Texas. He is active in environmental protection and raising awareness about climate change, notably in his role in Odyssey 2050: The Movie, in which he encourages young people to get motivated about environmental issues. In his native Costa Rica, he has been decorated multiple times and named Honor Citizen by the national legislature. The Costa Rican National High Technology Center (CeNAT), among other institutions, is named after him. One of his daughters, Sonia Chang-Díaz, is a state senator of Massachusetts. 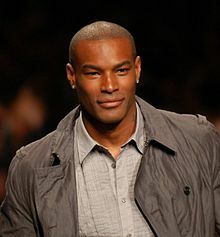 Tyson Beckford (1970- ) is a fashion model, television host and actor, best known as a Ralph Lauren Polo model. 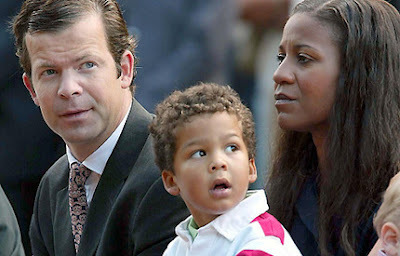 His paternal grandparents were of Afro-Jamaican and Panamanian descent, while his maternal grandparents were of Afro-Jamaican and Chinese-Jamaican descent. He was born in The Bronx, New York City, New York and grew up in Rochester, New York. In 1992, he was recruited to hip hop magazine The Source by a talent scout. He was later recruited by Ralph Lauren as the front model for the company's Polo line of male sportswear. He was named "Man of the Year" in 1995 by the cable television music channel VH1 and one of the "50 Most Beautiful People in the World" by People magazine. He is represented by Soul Artist Management in New York City and D'management Group in Milan. He was ranked at #38 on VH1's 40 Hottest Hotties of the '90s. For two seasons, he co-hosted the modeling contest "Make Me a Supermodel" on the television channel Bravo. As an actor, some of his film credits include Zoolander, Biker Boyz [sic] and Into The Blue. Kirk Acevedo (1971- ) is an actor of Puerto Rican and Chinese descent. He is primarily known for his work on television for the portrayals of Miguel Álvarez in the HBO series "OZ", Joe Toye in the miniseries Band of Brothers and FBI Agent Charlie Francis in the science-fiction series "Fringe". His best known films are The Thin Red Line and Dinner Rush. Acevedo's parents were both born in New York City, and lived in Brooklyn where both their sons, Richard and Kirk, were born. The family moved to the Bronx, where Kirk and his brother were raised. 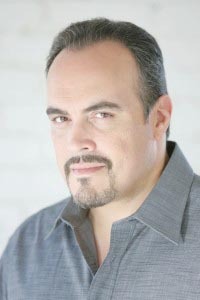 Since childhood, Acevedo has shown an interest in acting; he performed before his family in improvised shows. He graduated from the famed LaGuardia High School of Music & Art and Performing Arts and earned his Bachelor of Fine Arts degree from the State University of New York at Purchase. He auditioned shortly thereafter for "OZ" and his career his taken off. He is continuously working in film and television. Chino Moreno, born Camilo Wong Moreno (1973- ), is a singer-songwriter-musician. He is the lead singer and guitarist of the alternative metal band Deftones. He was born in Sacramento, California to a Spanish-Mexican father and a Spanish-Chinese mother. His maternal grandfather's heritage is where he got his nickname. He co-founded the group Deftones in 1988 with high school buddies. They released their first album, Adrenaline, on Madonna's record label (Maverick Records) in 1995. That album went platinum. Of their seven albums, three have gone platinum and one have gone gold. In addition to his work with Deftones, he has done side projects with Team Crosses, Crosses and Palm, as well as guest appearances on the albums of other artists. 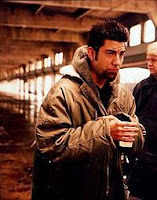 He and Deftones can be seen performing their song "Teething" in a scene from the movie The Crow: City of Angels. Additional Latinos who also have Asian descent include Puerto Rican-Filipino singer Bruno Mars; Puerto Rican-Chinese-African American singer Kelis; Costa Rican-Chinese actor-singer-dancer Harry Shum, Jr., Afro-Panamanian and Indo-Trinidadian actor-singer Tatyana Ali; Venezuelan-German-Japanese actor-comedian-musician Fred Armisen; and all the children of Spaniard singer Julio Iglesias and Filipina model and journalist Isabel Preysler (Enrique Iglesias, Chabeli Iglesias and Julio Iglesias, Jr., shown above at right, from left to right). Check out this blog in Back Stage by Denise Simon about some questions to ask an agent or manage by clicking here. 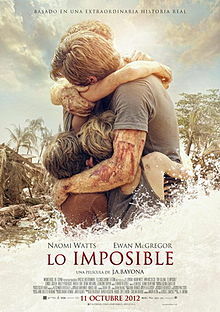 When Truly Universal Becomes "Lo Imposible"
Spaniard director Juan Antonio (J.A.) Bayona, most well known for directing the horror film El orfanato (The Orphanage), decided to direct a film based on the real-life story of Henry and María Belón, a Spaniard couple who were on vacation in Thailand with their children when the 2004 Indian Ocean earthquake and accompanying tsunami destroyed much of that part of the world. Written by Sergio G. Sánchez and produced by the Spaniard film companies Apaches Entertainment and Telecinco Cinema (Álvaro Agustín, Belén Atienza and Enrique López Lavigne), it marked director Bayona's English-language debut. 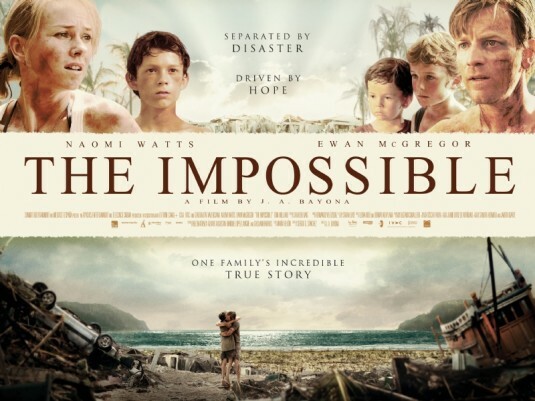 Something odd happened between the draft of the script being completed (the first draft was in Spanish and titled Lo imposible) and the final, finished film, called The Impossible. The Belón family from Spain became British (with the new surname Bennett). María became blonde and was portrayed by Australian actress Naomi Watts and her husband Henry was portrayed by Scottish actor Ewan McGregor. So why the change in nationalities? 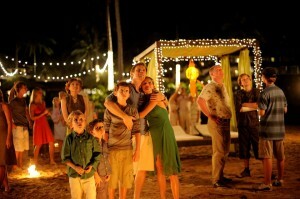 According to the director, "It was the family who didn’t allow us to talk about nationalities. From the very beginning they wanted the family [in the film] to be kind of universal. They didn’t want to talk about nationalities because the water took that away. After the water arrived there were no more nationalities or class… The truth is that there is a comment about that at the end of the film because they felt privileged to survive, but they felt a lot of suffering that they had survived and I thought that was very interesting. It was not a disaster movie with a two-dimensional answer – they live or they die – it is more complex than that, there is a lot of suffering to survive, it is not a victory. I thought that was very interesting because it told the reality of the emotion." To read more of what the director said about the movie, click here. According to María Belón herself, "I am fed up with this question all the time. This movie is not about nationalities, not about races, not about colors. It's about human beings. One of the conditions we put is that there should be no nationality for the family. I don't care if they would be black, brown or green skin. I wouldn't care about anything." 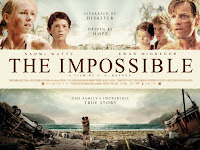 Belón said she was involved in the making of The Impossible for several years and that she did have a say in the film's casting. When Bayona asked Belón who her favorite actress was, she replied Naomi Watts because of her performance in 21 Grams [directed by Mexican director Alejandro González Iñárritu]. Read more of what she said about the movie in Ben Kenber's blog on Yahoo! by clicking here. Elia Esparza of Latin Heat wrote, "Currently there is an uproar over Ben Affleck casting himself in Argo for the role of Tony Méndez. But do Spanish people consider themselves Latino versus European? Also, the director is Latino… it is his film to cast as he wants. But does this not also hold true for Affleck? María Belón is from Spain and not America, does that make it OK for Hollywood to cast Latino roles with non-Latinos?" Read more of this blog by clicking here. On the movie, the Clearing Customs brings up a different point, noting, "My first thought when I saw the movie trailer was, Why must we tell non-Western stories through the eyes of Westerners? Surely there were stories about Indonesians, Sri Lankans, Indians, Thais, and others in Southeast Asia worth telling. Belón [in an appearance on the U.S. television show "The View" addressed this by saying], "It needed to be told just as an excuse to tell everybody else’s stories. That’s the only reason why we wanted our story to be told is because nothing happened to us. . . . I will tell that thousands of times. Nothing happened to us, but from so many people were so painful, so difficult, that that was the only reason why we wanted to tell this story, just an excuse to tell everybody else’s stories. . . . Only for them. Only for them." To read more about this blog, click here. For her performance as María, Naomi Watts earned Golden Globe and Academy Award nominations for Best Actress. Also interesting to note that while the family in the film had an undisclosed nationality (even though speaking with British accents), principal photography occurred in Alicante, Spain (and later Thailand). 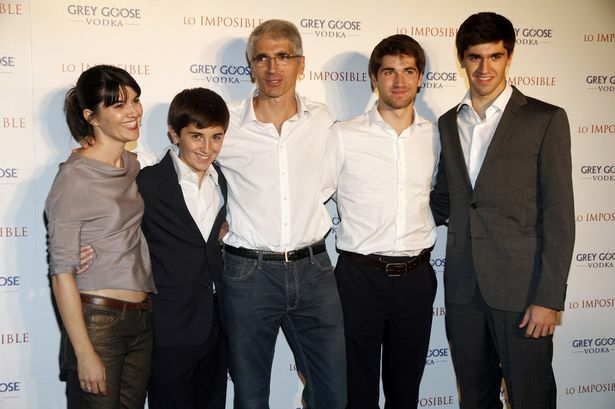 Would a couple of Spaniard actors playing María and Henry in The Impossible make the film's story less universal? Do the films City of God (Cidade de Deus), Y tú mamá también and Slumdog Millionaire tell stories that explore universal themes? All three were nominated for Academy Awards. City of God (Cidade de Deus) received four nods including Best Adapted Screenplay and Best Director. Y tú mamá también received a nod for Best Original Screenplay. And Slumdog Millionaire received ten Academy Award nominations and winning eight, including awards for Best Adapted Screenplay, Best Director and the biggest award of the evening– Best Picture. And all three films were box office hits, domestically and internationally. Perhaps when Hollywood takes a good, truthful look at the world and who populates it, maybe then it won't be so skittish about telling stories that are truly universal. 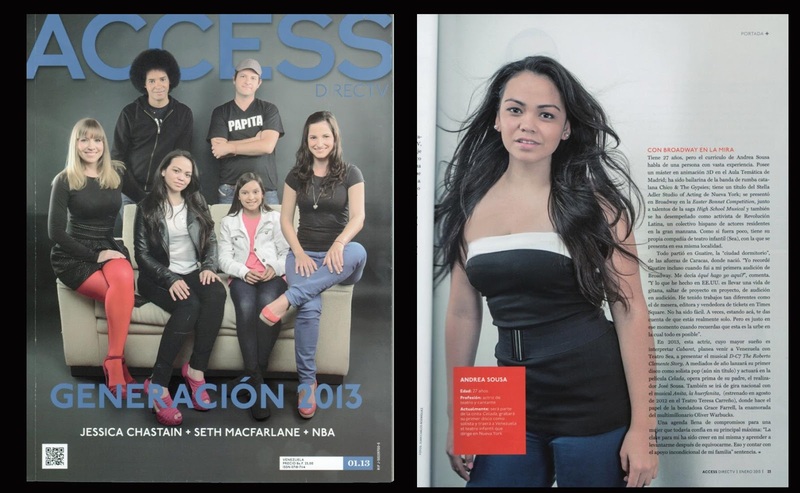 Andrea Sousa was profiled in the Venezuelan edition of Access DirecTV [sic] magazine, where she was also on the cover (both seen at right, click on the photo to make it larger). For more information, click here. 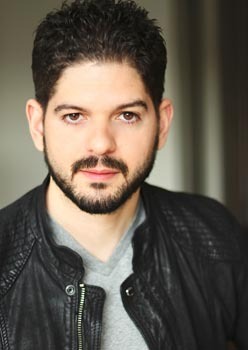 Billy Martín Mejía booked an episode of "Caso cerrado" (Telemundo). A trio of film shorts will be screened at the Tribeca Cinemas on Saturday, January 26, 2013, including When Bobby Met Larry (written by and starring Carlos A. González and directed by Philip Coccioletti). For more information, click here. Marco Antonio Rodríguez, shown at right, wrote an article that was published in Latino Leaders magazine (and reposted on this very blog). To read the article titled "Do You Hear What I Hear: Latinos Misrepresenting Themselves in Film and Television", click here, here or here. 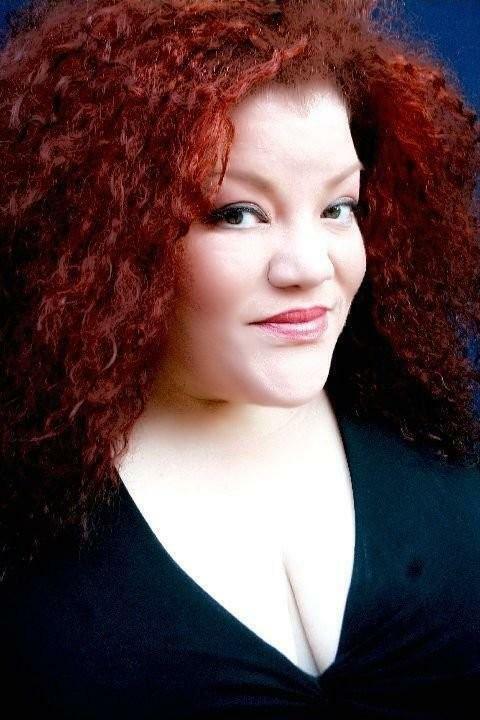 Adriana Sananes has just finished recording three audiobooks written by famed Puerto Rican writer Giannina Braschi, voices one of the character in the audiobook We Are America: A Tribute from the Heart (written by Walter Dean Myers and directed by Dion Graham). The Myers audiobook was recently named one of the best children's audiobooks of the year. INTAR Theater introduced the members of its in-house company, dubbed Unit 52. It involves twelve actors, six associate artists and one new play developed in 24 weeks. Some of the artists involved include Jenniffer Díaz, Oscar A.L. Cabrera, Gabe Morales, Diomargy Núñez, Daniel Jáquez, Gilbert Cruz and David Anzuelo, among others. For more information, click here. 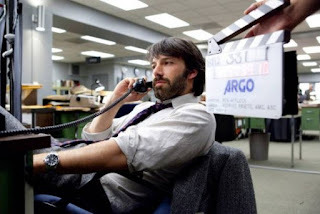 The film Argo (starring and directed by Ben Affleck as real-life CIA Agent Antonio Joseph "Tony" Méndez) received seven Academy Award (also known as Oscar) nominations including one for Best Picture. 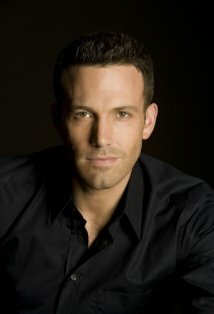 Affleck did not receive a nomination for his acting nor his directing. The controversy rages on with the choice of Affleck to portray a person of Latino heritage. • TONY MÉNDEZ speaks on the controversy. He spoke with Jack Rico of Showbiz Café. "I don't think of myself as a Hispanic." • RUBÉN NAVARRETTE, JR. wrote an editorial blog for CNN, in which he references María Nieto's guest blog in El Blog de HOLA. "Affleck should have tried to cast a Latino to play Méndez. That's common sense, and it would have made Argo a better movie." • BEL HERNÁNDEZ of industry publication Latin Heat weighs in on the controversy in a blog. "By whitewashing Méndez, Ben Affleck stole one of these heroes from the Latino community; from the young Latinos, who would have been proud to know that someone who looks like them, played such a key role in our nation’s history." Read more of her blog by clicking HERE. The National Association of Latino Independent Producers (NALIP) will be hosting this six-day intensive workshop for mid-career Latino writers in Los Angeles, March 18 – March 23, 2013. This program is specifically tailored for feature and television writers as part of our new advanced Latino Writers Lab curriculum. NALIP will invite a select number of writers currently developing new work. During the initial six-day workshop, Fellows will benefit from mentoring sessions by industry professionals and a rigorous agenda that includes table readings of their scripts, panels, and pitching and writing sessions led by director/writer/producer and creative advisor Ted Braun. The second stage of the lab offers Fellows the unique opportunity to work closely and consistently with their Creative Mentors for a three-month period following the lab. In order to be considered for this intensive professional development workshop, selected Fellows must be able to provide their own housing and transportation in the Los Angeles area for the duration of the first stage of the lab, March 18-23, 2013. Applications MUST BE E-MAILED by Thursday, February 14, 2013 – Notifications by Tuesday February 26.